As we celebrate the 10th anniversary of Cardiff Catalysis Institute, it is fitting to reflect both on the achievements of the Institute and of its founding Director; and on the key role of catalytic science and technology in the UK and worldwide economy and society. Catalysis is, of course a core area of contemporary chemistry and chemical engineering. It underpins major sectors of manufacturing industry, including the pharmaceutical sector. Moreover, innovation in catalytic science will be crucial in solving major global challenges, including renewable energy, clean air and water. Indeed, several of the UN Sustainable Development Goals (SDGs) will not be realised without developments in catalytic technology. CCI was founded to respond to the key scientific and technical challenges posed by Catalytic science and technology. 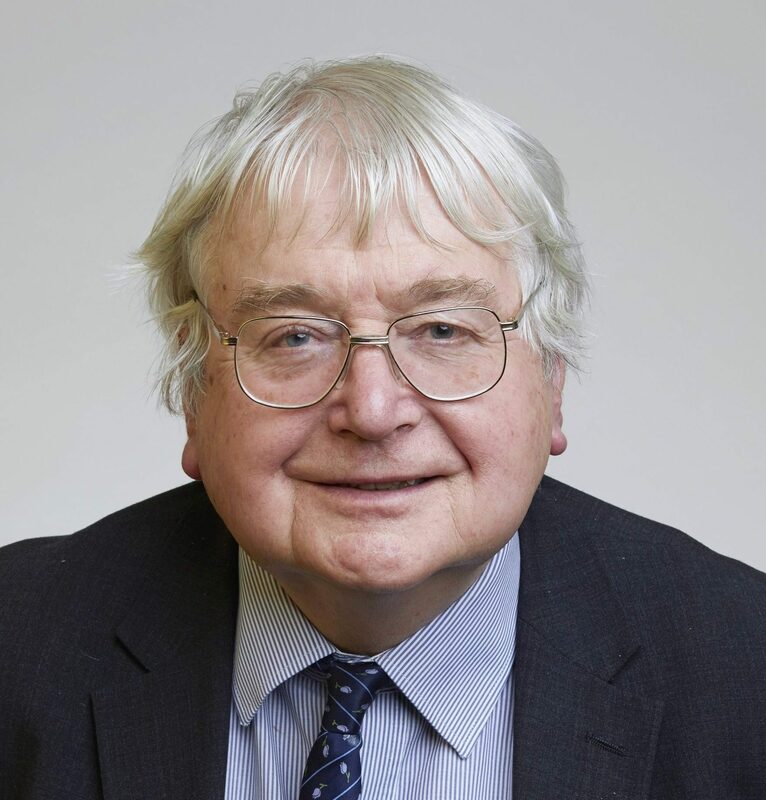 The vision of its founding Director, Graham Hutchings, was of a Centre rooted in the highest quality science but leading to novel and high impact technology. This vision was pursued with Graham’s characteristic energy and determination and with strong backing and support from the University and from colleagues in the School of Chemistry. It has led to a world leading centre which is as productive as it is innovative. The Centre has attracted talent from around the world and has spawned many other initiatives; it was, for example, a leading player in the establishment of the highly successful UK Catalysis Hub – a national network of catalytic scientists embracing now over 40 universities. It is an excellent example of how given the right vision and by concentrating resources and effort, UK science can lead the world. I could give many examples of the scientific achievements of the Centre; but the one illustration I will give follows from Graham’s career long fascination with the use of gold in catalytic processes. It concerns the hydrochlorination of acetylene to produce vinyl chloride, which may sound like a rather dull piece of chemistry, but is a key process as vinyl chloride is subsequently used to make PVC – an important and widely used material in our every-day lives. Graham many years ago pioneered a gold based catalyst for this vital process. I was privileged to be one amongst many authors of a paper, led by Graham and published in the journal Science, which unravelled how the catalyst works at the molecular level. But perhaps more importantly, this catalyst is now being used in China to replace environmentally damaging mercury based systems – a development which will benefit the economy and people’s lives. Graham is stepping down from the Directorship and can reflect on 10 years of achievement and success. 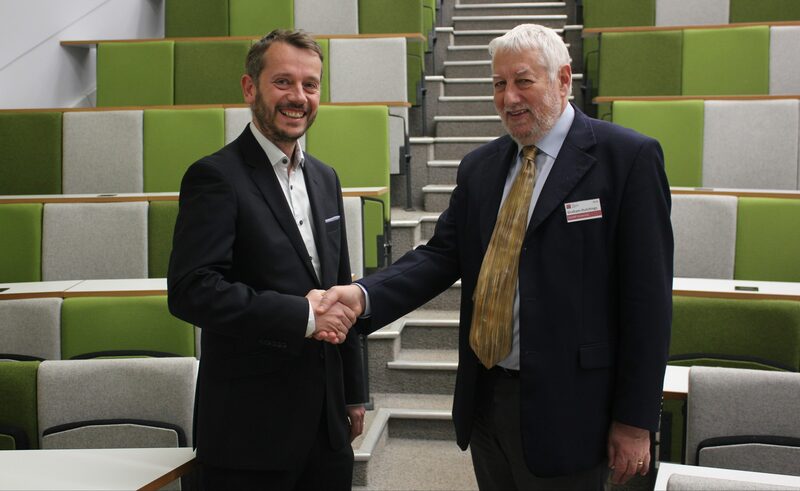 His final act as Director was to chair a hugely successful Cardiff Catalysis Conference with outstanding talks from both local and international speakers; its success was a fitting tribute to his vision and leadership. He will be followed, I am pleased to say, by Duncan Wass who will build on the Centre’s success and bring exciting new themes and directions. But let me conclude by a personal tribute to Graham, whom I have known for 40 years and worked with for 30. Working with Graham has always been exciting and enjoyable and hugely productive. And we look forward to many future years of creative innovation and achievement.